Britain could suffer shortages of food and medicine within weeks of a 'Doomsday' no-deal Brexit, a leaked Whitehall assessment has claimed. 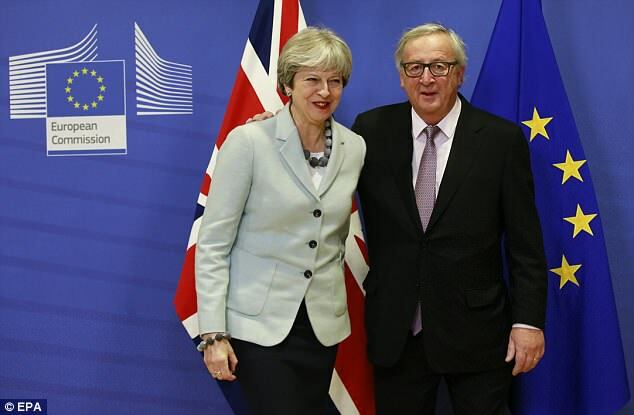 The bloodcurdling warning about the impact of failing to reach any agreement with the EU has emerged as Theresa May's negotiations with the bloc reach a crucial stage. It said the port of Dover could collapse almost immediately, and raised the prospect of food and medical supplies being flown into Cornwall and Scotland by the military. But David Davis's Brexit Department played down the fears insisting a 'significant amount of work' had gone into planning for 'no deal' and 'none of this would come to pass'. Home Secretary Sajid Javid also insisted he did not 'recognise' the chilling conclusions from the assessment. Mrs May might have been seeking divine inspiration on how to secure a breakthrough today, as she was pictured making her regular visit to church in her Maidenhead constituency. Last month officials from the Brexit, health and transport departments 'gamed' three scenarios for a no-deal Brexit, according to the Sunday Times. They considered a 'mild' outcome, a 'severe' shock, and one dubbed 'Armageddon'. A source said: 'In the second scenario, not even the worst, the port of Dover will collapse on day one. The assessment suggested that charter aircraft or the RAF would have to be used to ferry supplies around the country. 'You would have to medevac medicine into Britain, and at the end of week two we would be running out of petrol as well,' the source said. However, a spokesman for the Department for Exiting the EU rejected the claims. 'A significant amount of work and decision making has gone into our no deal plans, especially where it relates to ports, and we know that none of this would come to pass,' the spokesman said. Mr Javid said he did not recognise the 'doomsday' scenarios. Nearly six in 10 voters think Theresa May should quit after Brexit talks are completed, according to a poll. Research by Deltapoll found 56 per cent wanted her to stand down next March - although 59 per cent of Tory voters believe she should stay on. Some 57 per cent fear the UK's negotiating team are making a hash of the exit talks. However, the survey conducted for the Sun on Sunday suggests the public has no clear successor in mind. Boris Johnson is the most popular replacement, but only has backing from one in six voters. The poll puts Labour neck and neck with the Tories on 41 per cent. Deltapoll director Joe Twyman said: 'The fact Boris tops the list with support from fewer than one in six Brits — and only one in five Tory voters — shows the trouble the Conservatives are in.' He told the BBC's Andrew Marr Show: 'I have to say I don't recognise any bit of that at all and as Home Secretary ... I am deeply involved in 'no deal preparations' as much as I am in getting a deal - I'm confident we will get a deal. Brexiteers attacked the assessment, with Tory former leader Iain Duncan Smith branding it the new Project Fear. Fellow Conserative MP Conor Burns said: 'Do the authors of these reports realise how supine and pathetic they make our country look to the rest of the world? The row erupted with Mrs May facing mounting disquiet about her handling of the Brexit negotiations. Former Cabinet minister Priti Patel said the Government needed to articulate a 'better vision for the future' after Brexit. Mrs Patel, who quit as International Development Secretary in November over unauthorised meetings in Israel, told The House magazine the Conservatives had become 'lazy' and she heard 'too much relentless talking down' of Britain's economy. Asked if having two Remain voters at the top was part of the problem, she said: 'I have to say, originally I thought it wasn't. 'But I think it's fair to say that there's something in that. There is absolutely something in that. 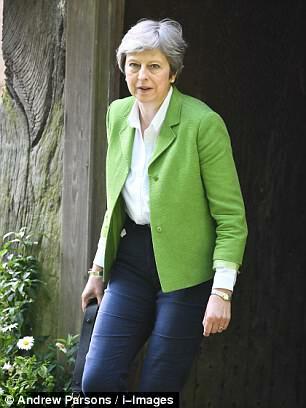 Hedge fund boss and Tory donor Crispin Odey went further and called for Mrs May to be replaced by Environment Secretary Michael Gove to see the country through the negotiations. Mr Odey told the Observer the Prime Minister could not make decisions and would not see Brexit through.